Conway is an imprint that has long enjoyed a reputation for producing fine visual books where images have been reproduced to a high quality in monochrome and full colour. This is a book in that tradition and the result is impressive. This is a serious review of the development of the city and its impact on civilization, but it is also an art book with lavish illustration in the Conway tradition. The author has traced the development and visual recording of the city from ancient times to modern day. This is a complex and vital story that is told clearly and which benefits from the fine illustration. This book is a treat both visually and from its compelling text. A great story that affects all of us. DESCRIPTION: Conway is an imprint that has long enjoyed a reputation for producing fine visual books where images have been reproduced to a high quality in monochrome and full colour. This is a book in that tradition and the result is impressive. This is a serious review of the development of the city and its impact on civilization, but it is also an art book with lavish illustration in the Conway tradition. The author has traced the development and visual recording of the city from ancient times to modern day. This is a complex and vital story that is told clearly and which benefits from the fine illustration. This book is a treat both visually and from its compelling text. A great story that affects all of us. Cities are the engines of civilization. No one knows how migrant hunter gatherers turned to agriculture and then to the construction of sophisticated urban environments. The leap in imagination is enormous. In the process, it has created costly wars, become repositories for hopes and dreams, and produced an environment that is almost impervious to climatic extremes. It has also grown to extreme sizes and it appears that there is no constraint to this growth, yet everything is bounded at some point. As cities grow and merge together vast areas are concreted over, natural countryside disappears, and huge populations are supported. At a very early stage, man decided that it was essential to record cities visually to allow order to be imposed. Cities required water and food and fuel to be transported to the population and much of that population felt the urge to live in the boundaries of the city, moving in to the centre and back out again each day. Traffic flows and order had to be introduced to make this daily movement practical. This is a challenging book because the images draw the eye from the text and it is so easy to become immersed in the visual element of the book. The author has followed through the ages of civilization, but many readers may be surprised by the number of features we take for granted in modern cities that were also part of the ancient city. The development of the city is a chicken and egg story. Did the city start on a river because it was once a crossing point that made a natural trading centre? The river, or the sea, was a natural aid to a growing urban centre. The river provided a supply of water necessary to life, and then carried the waste product of humanity out into the sea. The only more recent innovation has been the introduction of methods of treating that waste to clean the rivers and reduce the material the sea has to dilute and disperse. The sea and the rivers were also the best highways in ancient times, and continue to provide an efficient medium for the transport of people and goods. To maintain some level of contact with nature, cities have always included green spaces and some large cities contain many parks and natural areas. 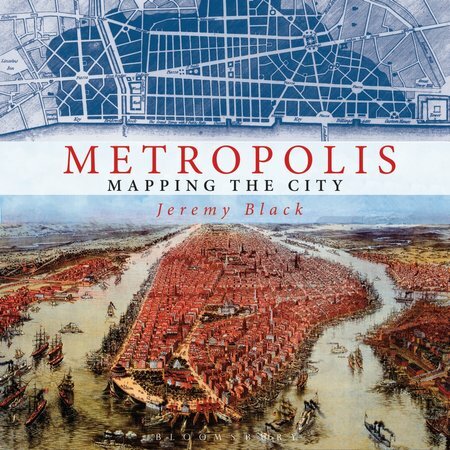 This book shows how so many of these features have continued to be planned into the expanding city and how cartography is as essential as bricks and mortar.